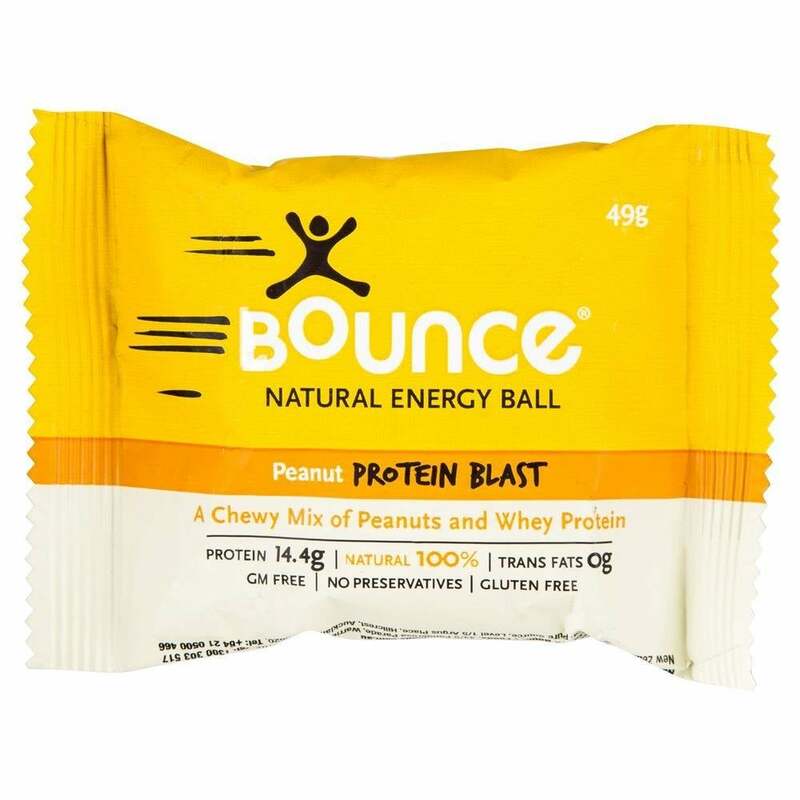 Bounce Ball Peanut Protein Peanut Blast - A delicious, chewy powerhouse of protein, packed with peanuts. The Peanut Protein Blast combines 14g of high quality whey protein, complex carbohydrates and heart-healthy mono and unsaturated fats. Ideal to eat at any time of day, it will help to keep you energised and feel at your best. A myRaceKit favourite, tasty, gluten free and packed full of energy for your adventure!